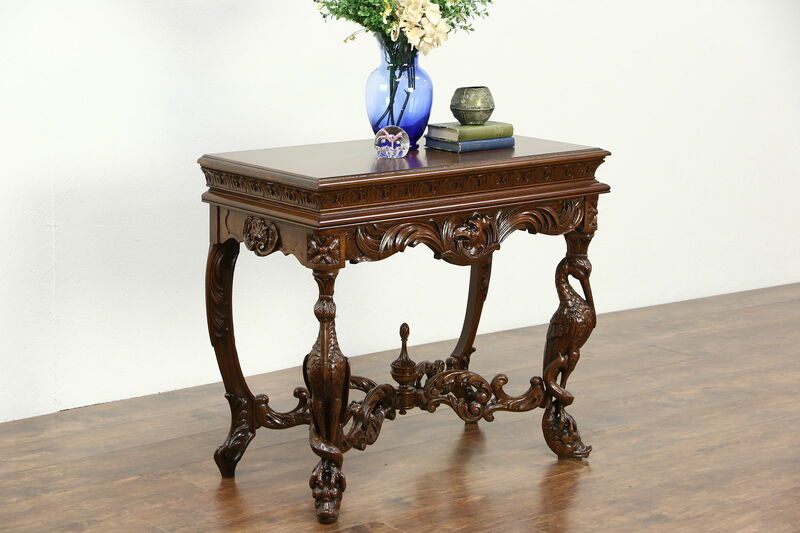 A spectacular 1910 era hall console table has three dimensional carved cranes with dragons. The restored finish is in excellent condition on this American made antique walnut furniture. There are minor shrinkage separations from age, see photos. The lavish trestle base has a center finial. Measurements are 34 1/2" wide, 18" deep and 30 1/2" tall.